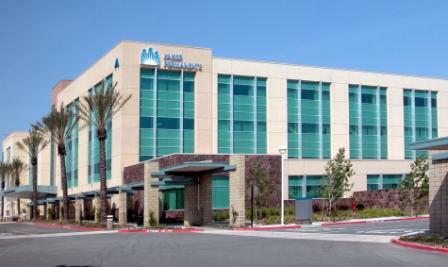 New Ontario Kaiser medical office located on Vineyard Avenue. Ontario recognizes that there is a strong link between health and individual and community prosperity. The City is committed to strengthening this critical link through collaboration with health related public, private and non-profit organizations. The City can have a positive impact on the health of residents by providing information on and access to, resources for healthcare, fitness and good nutrition. While the policy foundation for improving residents’ health is found throughout the Policy Plan, this section focuses on the issues of access to healthcare providers and facilities, prevention and wellness, safe neighborhoods and monitoring health in Ontario. A community where residents have access to information, services and goods that improve their health and well being. Partnering for Healthcare. We work with healthcare providers, and local, regional, state and federal agencies to attract and retain a diversity of affordable, quality healthcare and facilities for the entire community. Nutrition Choices. We support the promotion of healthy nutritional food choices in the community. Health Education. We promote health education, including disease prevention, mental health, nutrition and physical fitness. Physical Activity. We encourage activities and community design that improve the physical fitness of our community members.